After our less than amusing dinner at McCrady’s Tavern, we opted for dessert elsewhere and found Carmella’s dessert bar. Dessert and Bar are two words that should always be friends and more often than not, seem to be in the south. We split three desserts among three ladies. There was a cannoli, not pictured, that I didn’t even try because..cannoli. Then, there was this delightful Napoleon pastry that was very delicious. 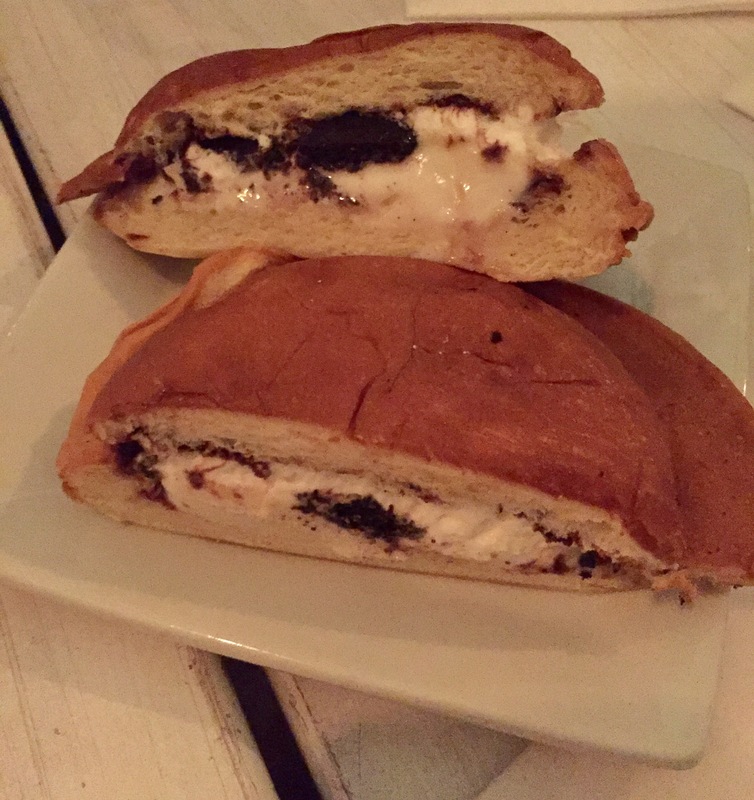 The other item we tried was a cookies and cream gelato sandwich. While this SOUNDED amazing, it was literally gelato on a (sweet) hamburger bun. It was very odd and not something I’ll need to try again. 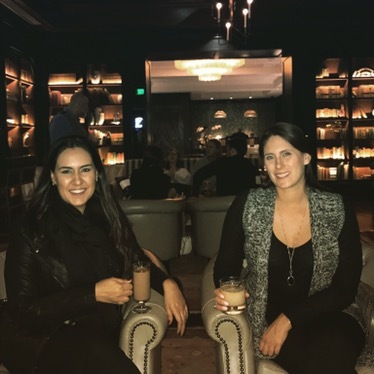 With very full bellies, we decided on one last nightcap at the new Spectator Hotel. 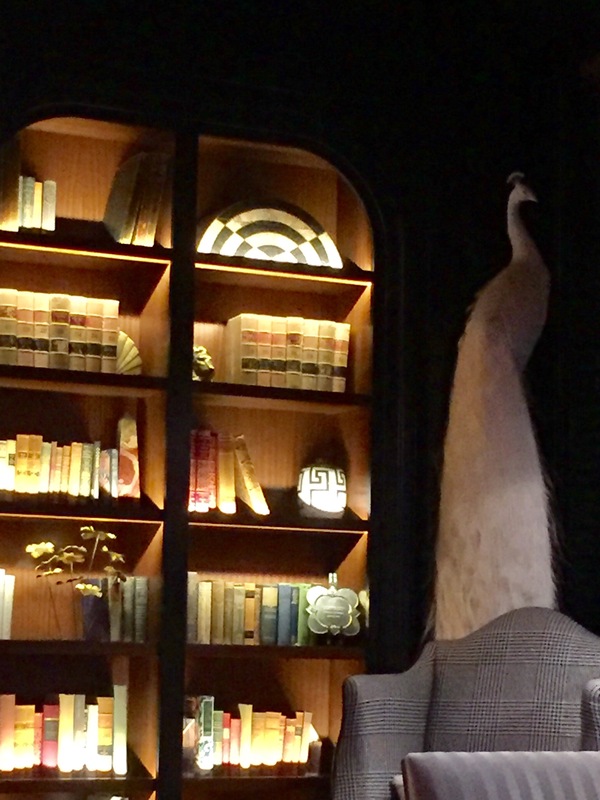 Off of the modern lobby, there was a very chic library bar that was the perfect place to talk and wrap up our last evening. 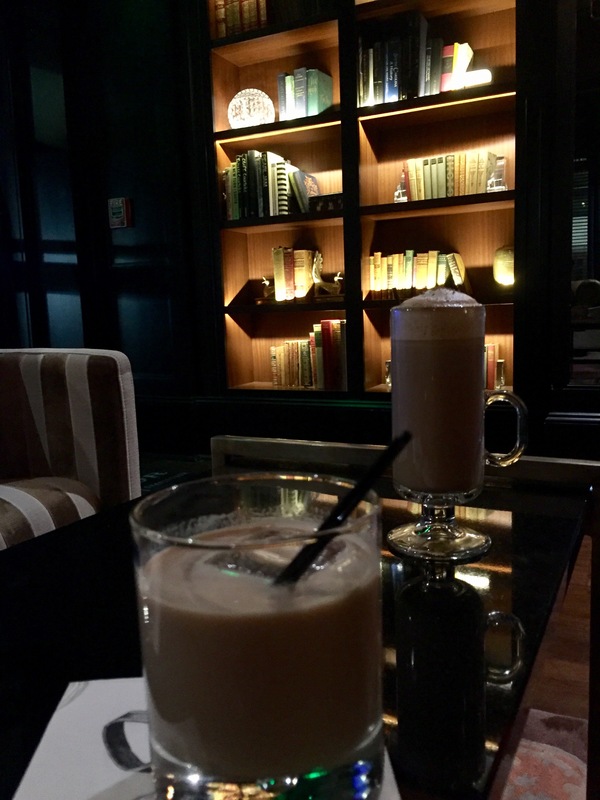 The drink that I had was a deconstructed White Russian. 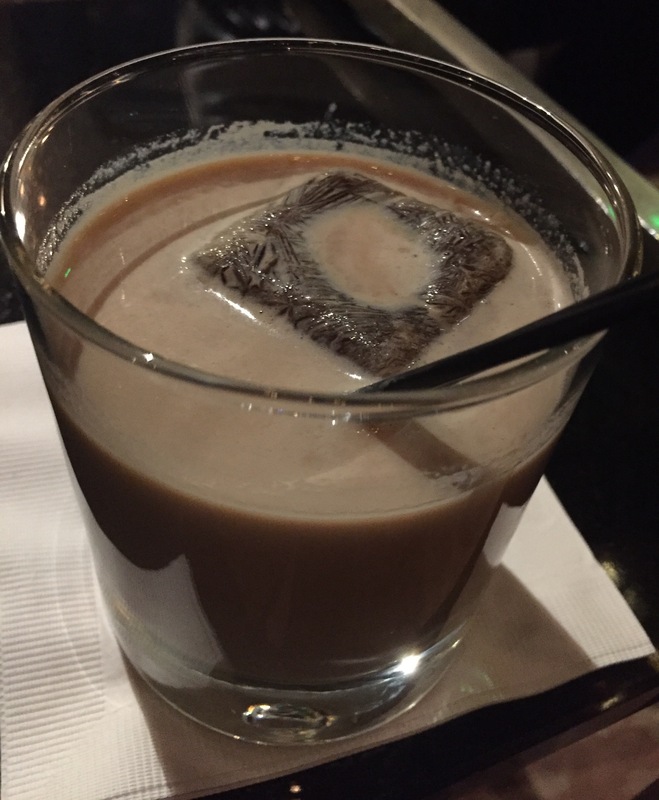 The ice cube was espresso and slowly melted into the drink which was super fun and encouraged you to consume the beverage before it woke you up too much before you went to bed. Here we are enjoying our last cocktails of the trip, looking puffy, full, tipsy, and happy. Oh, and sleepy, very sleepy. 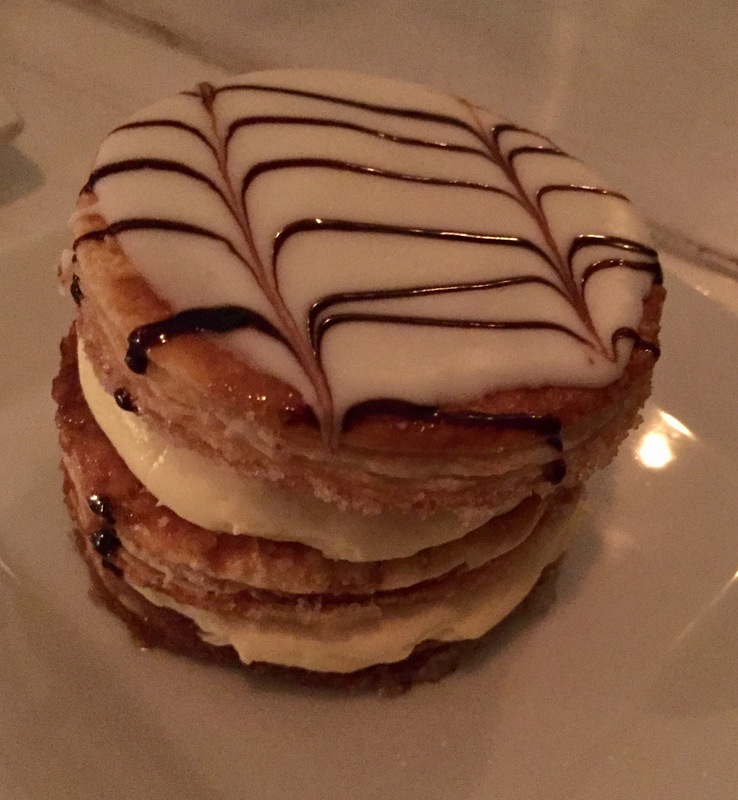 I seriously question your judgement with the cannoli comment… Similar to your gelato thing, there is a new place that opened up in Weezy that serves exclusively ice cream sandwiches on donut buns where we have already eaten 4 times.